Well, we decided to leave Siena right after our last class on Friday (*Note* this was our last Friday class for the entire semester!). 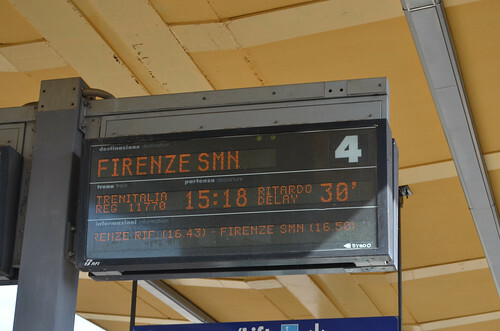 By 3 pm, we were at Siena’s train station waiting for our train. We waited for our train on the platform and we read that it was 20 minutes late. Okay, no big deal, this is Italy after all and an on-time train is a miracle. Well, a few minutes later, the sign said it was 25 minutes late. Then, it was 30 minutes late. Now we’re a little annoyed. Then, the sign that had our train’s number on it DISAPPEARED. Yes, our train literally vanished Harry Potter style. The more I’m in Italy, the more I realize how right Bill Bryson, the author of Neither Here Nor There, is. Seriously, read that book, it will make your stomach hurt from laughter. This sign displays that our train is now 30 minutes late. Shortly after I took this photograph, the sign just turned off. Anyways, we then heard some lady over the loud speaker say something in Italian and then a whole mass of people moved to the next platform. We decided to be lemmings and follow them. 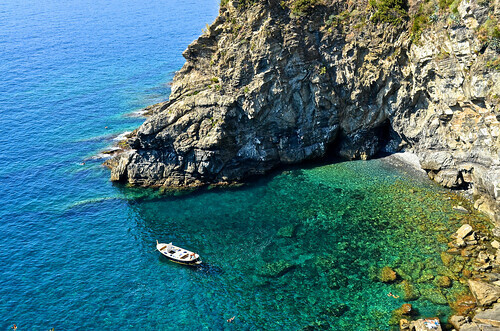 That was a good decision because that train was heading to Empoli, which was on the way to Cinque Terre. We arrived in Empoli to change trains. We then spent a bit of time in Empoli to realize that it’s a rather creepy town and got onto our next train to La Spezia, which was very close to our final destination. We waited at La Spezia for a bit and we then got on our train to Deiva Marina, finally. We arrived in Deiva Marina at around 9 pm and we then proceeded to find our hotel. We found it with relative ease and then checked in. However, the owner of the hotel realized he made a mistake and only booked us one room instead of two for the second night. To make a really long story short, the owner was incredibly kind and got us our room. He may or may not have packed up a random family’s luggage and moved it to another room so we could have ours. 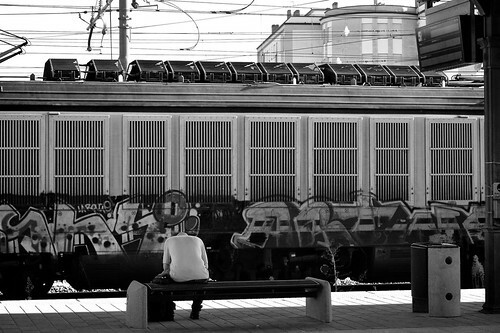 A local waits for his train in Empoli. 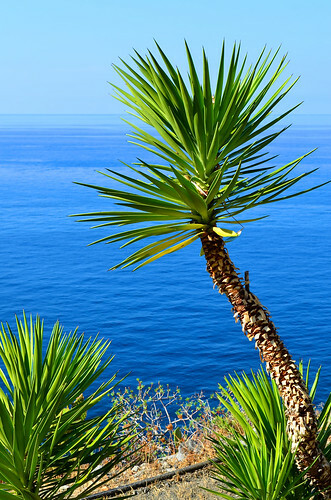 We thought we would be in Deiva Marina by sundown . . . 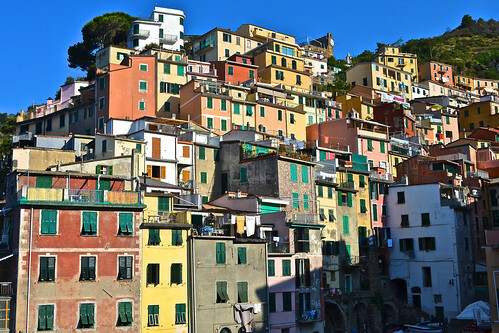 The next day we took a short train to one of the Cinque Terre towns and began our hike. 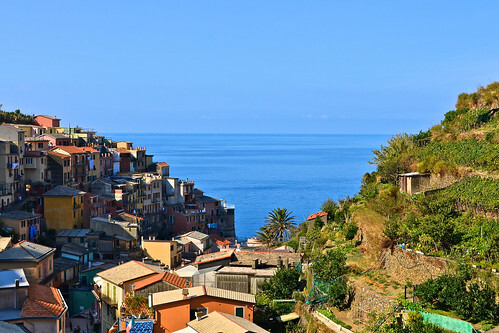 For those of you who don’t know, Cinque Terre is made up of five towns that are perched on the cliffs overlooking the ocean. Those towns are connected with trails where people hike. I really can’t begin to explain to you how beautiful this place was. I don’t think the English language has words that could properly describe it. So, I’ll use Italian. Cinque Terre is BELLISIMA! The hike was sort of tough considering we accidentally took the really difficult trail straight up the mountain. But it was so worth it. In fact, a grape farmer at the top of the mountain gave us grapes he just harvested. Those grapes were amazing. 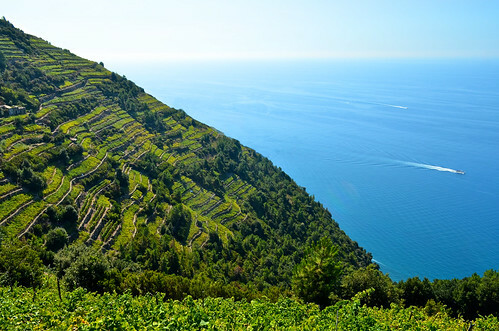 The Cinque Terre area is famous for its terrace grown grapes and fruits. 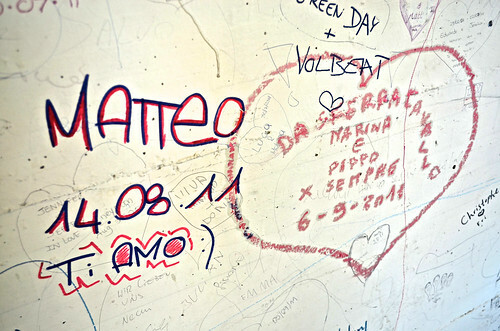 The path to the hiking trail is called the "Via d'Amore," The Street of Love. People write on the walls and place locks on the fences. And no, I unfortunately have not fallen in love with a beautiful Italian girl. 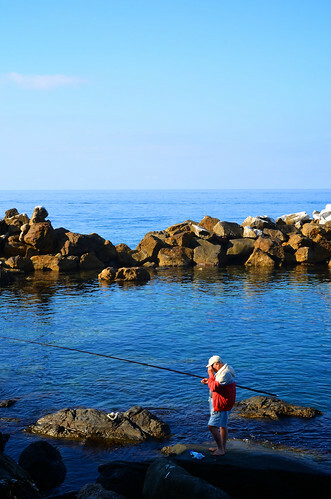 A local tries his luck at catching some fish. Oh you know, some houses just chilling on a cliff overlooking the Mediterranean. Another gorgeous view of Riomaggiore. A view of the farming terraces where l'uva (grapes) are grown. We finished our hike at Corniglia and found the most picturesque lagoon/swimming area. The water was the clearest I have ever seen. 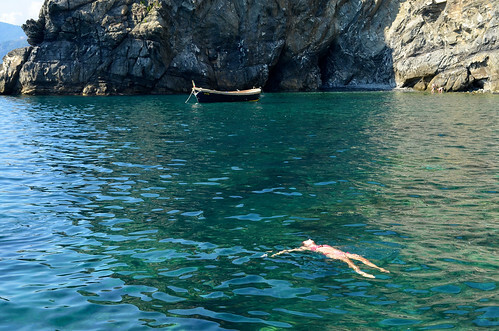 Apparently, Cinque Terre has won awards for it’s super clean and clear water. I didn’t know water could win awards, but I’ll go with it because it was awesome. The water was also super salty and you could literally lay down in it and float (see picture). So cool. I think everyone's jaw dropped when we saw this view. It was hard to believe that this place actually existed. Notice how clear the water is? My friend Sara shows us how salty the water actually is by floating. I loved these picturesque trees because they almost looked fake. We finally decided to head back to the train station for the short trip back to our hotel in Deiva Marina. 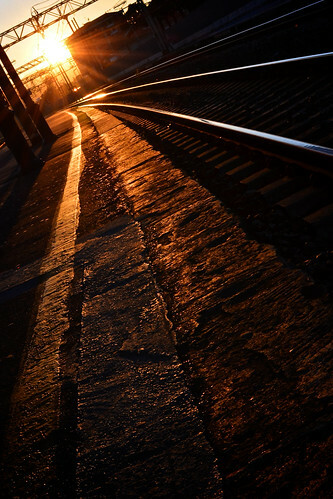 When we arrived at the train station, we saw a sign that said, “Sciopero Treni.” Train strike. On the day we were supposed to leave Deiva Marina. Well that threw a wrench in our plans. So, we decided to go with Plan B, which was take a few buses to Siena. However, this strike was a general transportation strike, which meant the buses were not running either. After we realized that, we called our program director who was very understanding and told us to go back on the first train back, which wasn’t until 9 pm on Sunday. That meant we had to kill an entire day in Deiva Marina. Let’s just say Deiva Marina isn’t exactly what we would call “a happening town.” So, we decided to just hang out in the lobby with the owner of the hotel and his family. The owner was incredibly kind to us. He gave us free pizza and was just generally friendly towards us. He also knocked 20 Euros off our dinner tab. We are going to send him a thank you card for just being awesome. 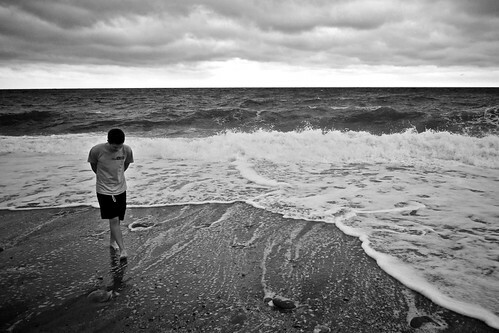 To kill some time, we walked along the beach just after a storm. As you can see, it was dramatically different than the day before. At 8 pm on Sunday, we headed over to the train station. When we got there we kept hearing this PRE-RECORDED message that said "Attenzione, sciopero di personale." Now, I don’t know about you, but I find it peculiar that a message that broadcasted a general transportation strike was pre-recorded. Anyways, our 9:37 P.M. train arrived (a bit late of course) and we got on it and headed to La Spezia where we waited for 5 hours for our last train to Firenze. We took a bus from Firenze to Siena. 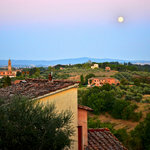 We arrived in Siena on Monday at 9 A.M.
Our weekend at Cinque Terre was a great bonding experience for those of us that went. Before this experience, I was terrified of public transportation in general. Now I'm confident in my ability to independently travel in a country where I barely speak the language. For those of you that don't know, I'm a Social Studies Teacher Education major. Part of being an educator is teaching students to be well rounded people. Stories like these are invaluable for a future educator because it will hopefully spark an interest in students to want to experience other cultures. And these stories always help when students are dozing off in the middle of a lecture!